An evening with the SUFI artist. Reserve seats now so you can enjoy your 19th January beautifully. An evening with the Best Sufi Artist in the town. 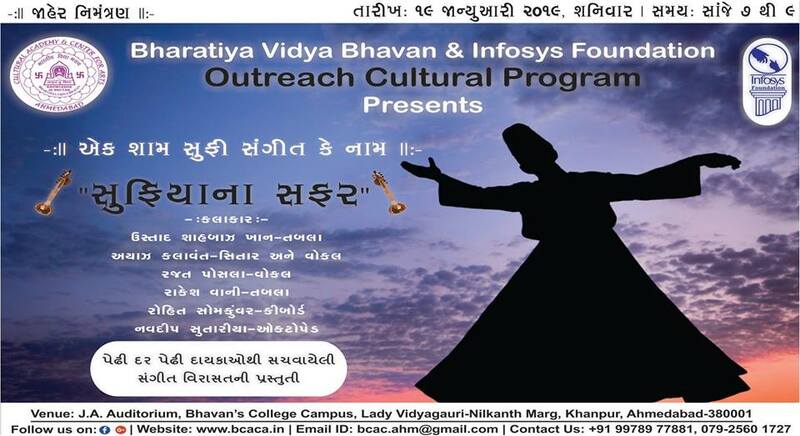 Enroll now for Bhavan’s Cultural Club Membership to enjoy such “30” programs like this.